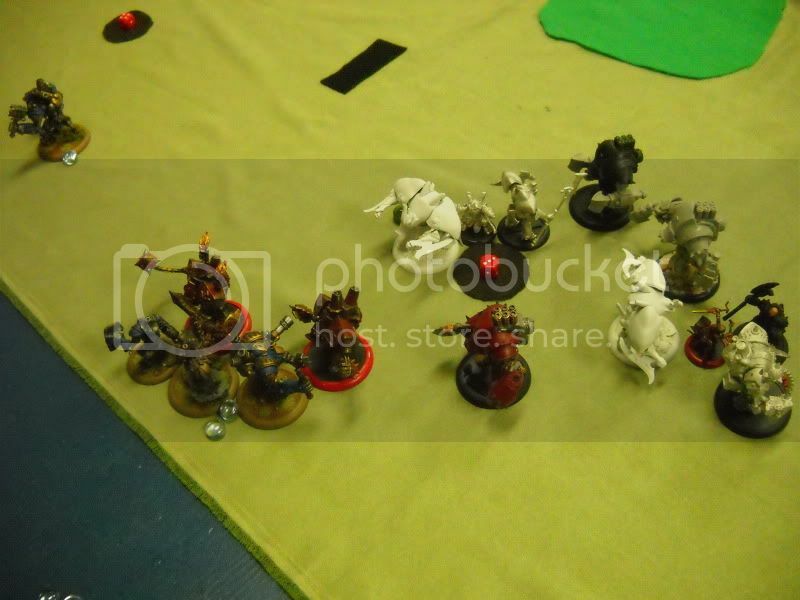 The Rotterhorn League was my first leage as a PG, and I must say, it was fantastic! I had 17 players, and while not all of them could see the entire thing through (life, ya know?) we still had several duking it out to the last. The Finale Event was two weekends ago, and it was meant to be a fun, laid-back endcap to the competitive league. We played two alternate formats: Portals and Thunderdome. 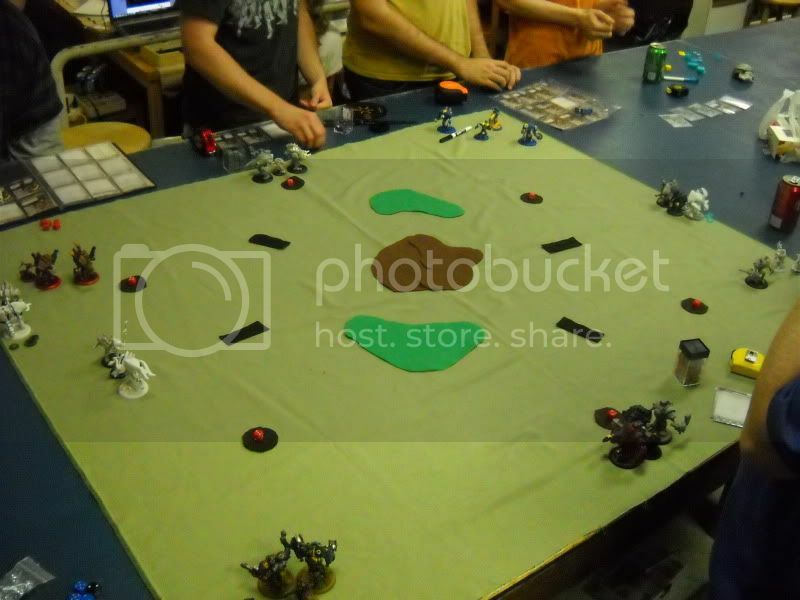 Both formats were a huge success and everyone had a blast! I was able to take a few pictures, so here’s a taste of the awesomeness from the Finale. 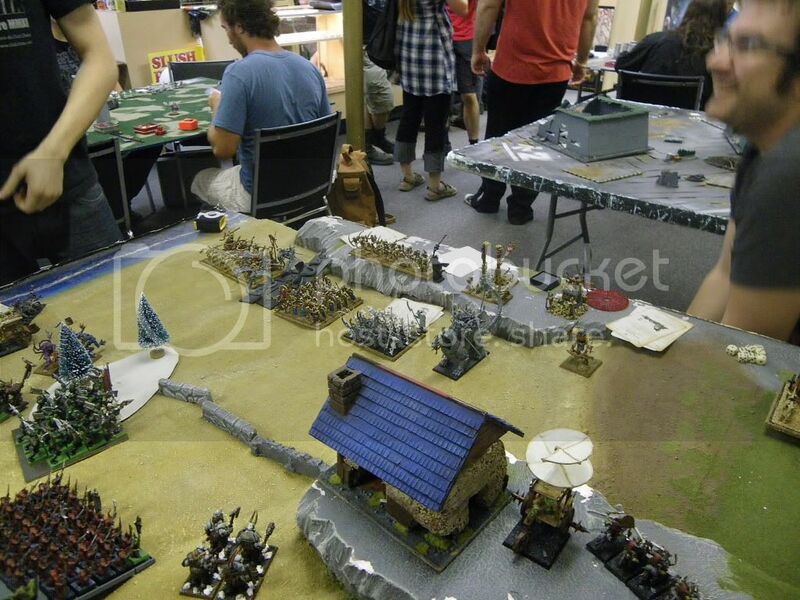 Portals deployments – 8 players on a 4′ x 4′ table was crowded! Everyone’s running away from Kevin’s Butcher force… Why? Three players rolled portal 3 in a row. It was awesome! Portals ended after two hours with no one scoring higher than 1 pt… I think having negative points for a death really put a stopper on the scoreboard. Next time, positive points only! Thunderdome was a riot. 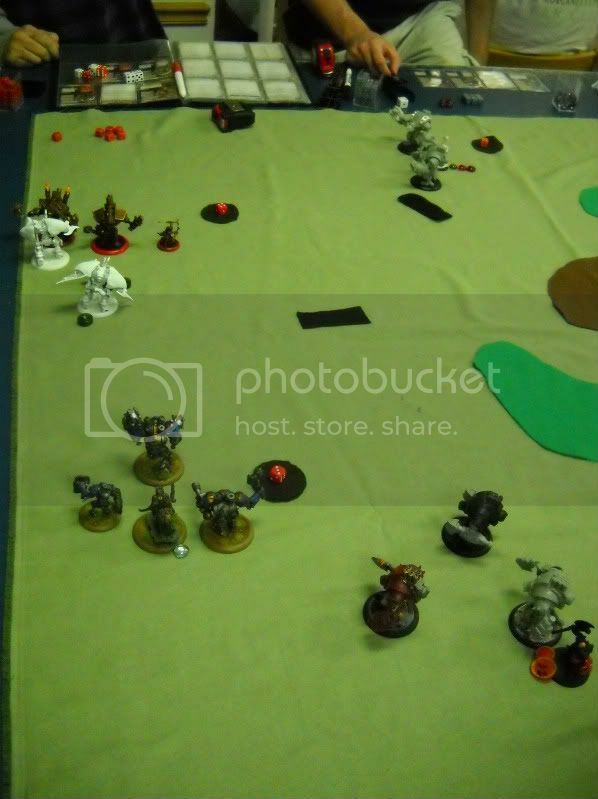 Two Garryths on the board completely shut down the table for two rounds – feats may have to be changed to CMD rather than CTRL for Tunderdome. Ah, you live you learn! Overall, the alternate formats were a lot of fun! There are a few things I’d change for the next time, but that’s just a part of the process. 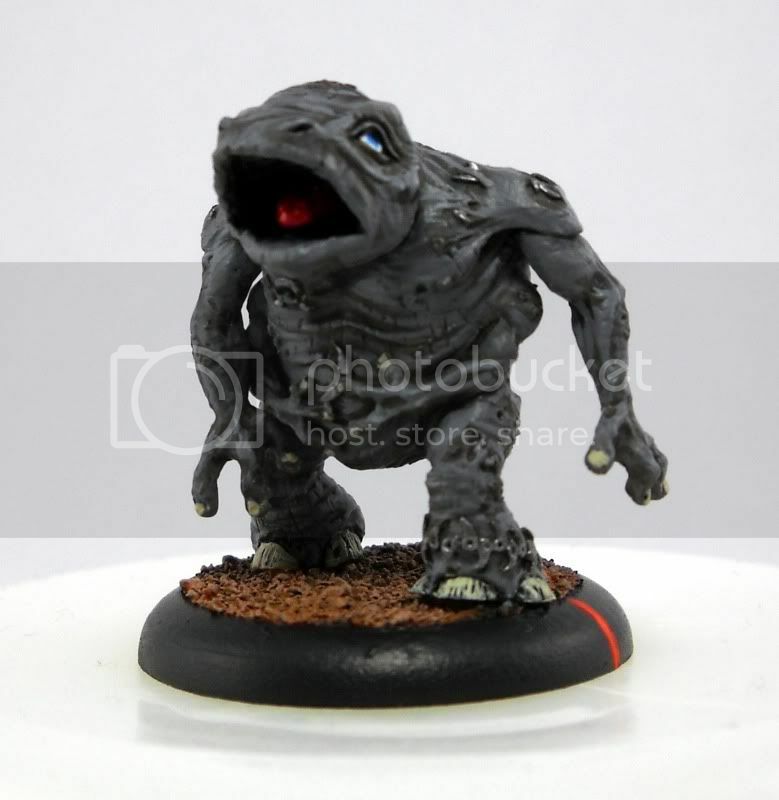 I’m going to use Hexeris as a vehicle for a tutorial on painting faces. 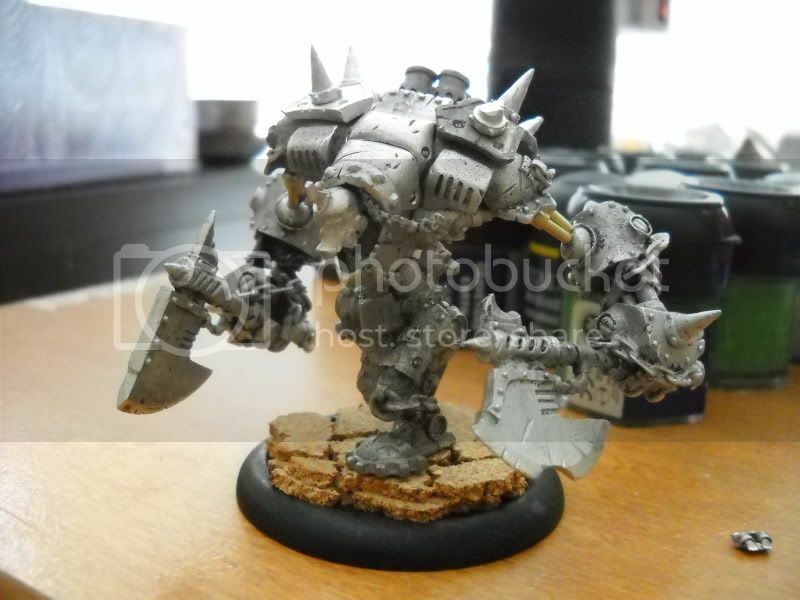 Get a model assembled and primed so you can follow along! That should go up sometime this weekend (hopefully Friday night). If you have any questions on faces that you want me to address during the tutorial, post them below and I’ll be sure to include them in the write-up! One of the biggest complaints about the awesome model that is Drago, the character Beserker, is that his upper arms are incredibly short and wimpy. 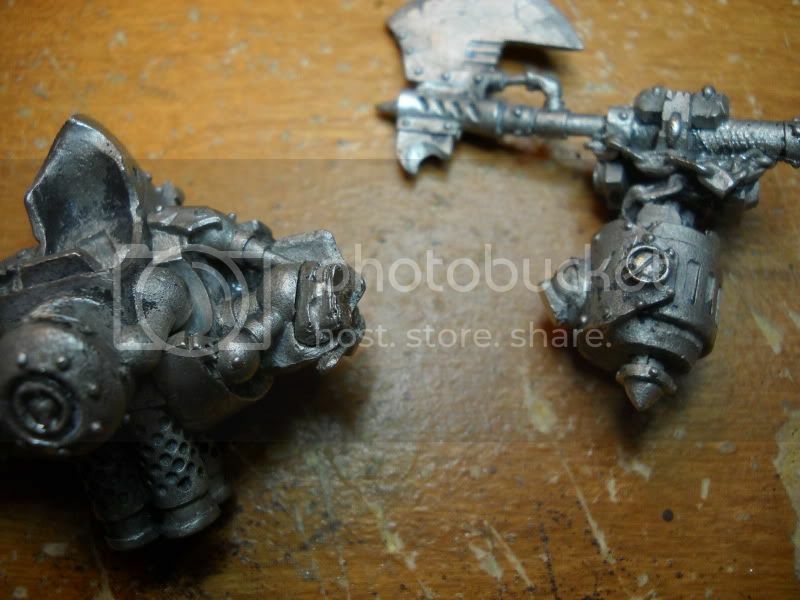 They have to support the massive weight of his arms and axes, and since they stick out from his body, they take lots of wear and tear. 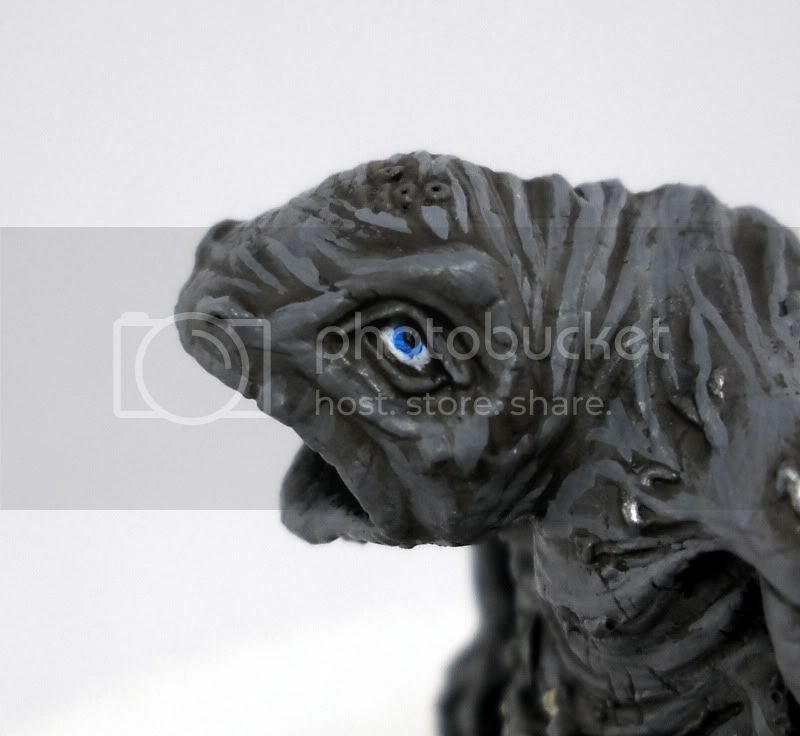 The used Drago model that I got in a trade was no different. One arm was already broken, and the other was starting to break apart. 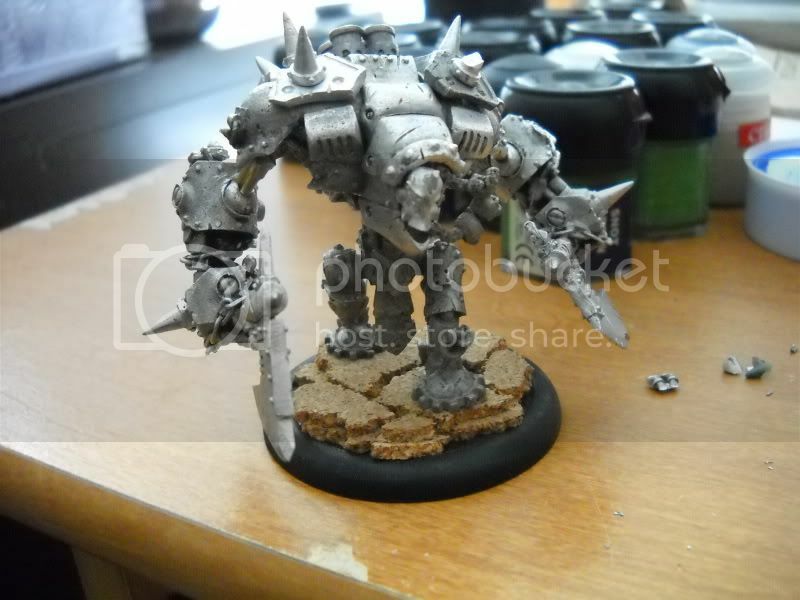 First, I based the model with cork to match my other northern armies, and assembled the legs. One pin in the back foot, and two in the other. Since Drago’s leaning so far forward, I got the legs as far back as possible. After that, I assembled the torso – center and shoulders. I then clipped off the tops of the two arms and glued them into the shoulders. I also cleaned up the cuts. Next, I pressed two points into the shoulder bit with my pick, and drilled two holes. Unfortunately, the holes were a bit big, and I had to cut off and file more. I was drilling for 1/16″ brass tube, and apparantly, that’s the size PP used for the outer parts of the pistons. I’m adding bulk, so this is good – my tube will be bigger and stronger, which is the entire reason for doing all this! The holes weren’t perfect, but no one will be looking at the model from this angle, so I really don’t care. I’ve drilled these holes deep. They go about halfway through the shoulder. The next step was to test fit some brass tube. I’ve cut two sections the same length and dry-fitted them into the holes. I then cut off the block bit on the arm, leaving just the ball. I cleaned that up with a file and drilled a pair of holes into the arm. I then had to use a ball shaped milling bit in my Dremel to deepen and widen the hole inside the arm. 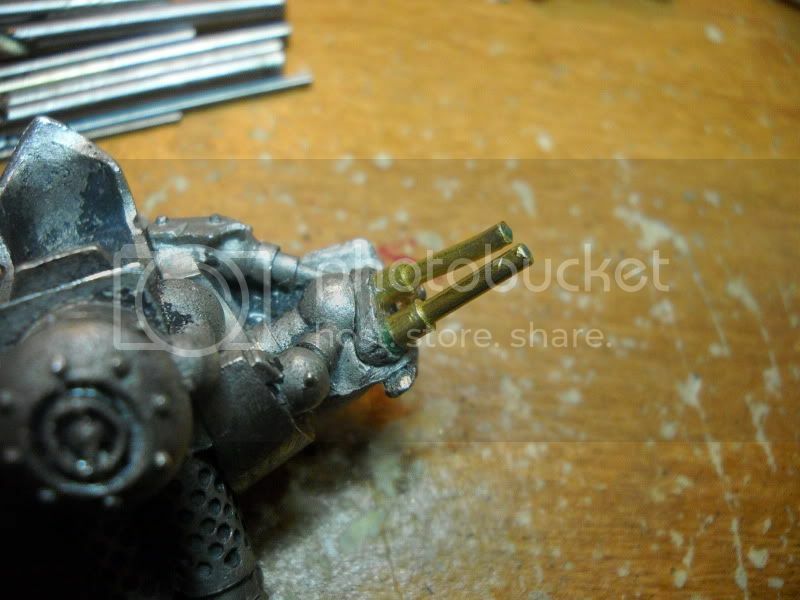 When drilling the second hole into the arm, the bit tends to slip into the previous hole. When that happens, there isn’t enough room in the bottom of the hole for two brass tubes, since the holes converge. You have to widen the bottom of it so that both tubes can slide all the way down. During this process, it all became one, giant oblong hole, which is fine. While I was recharging my Dremel for a bit, I cut some tube of the next larger size, which conveniently slides right over the stuff I’m already using. 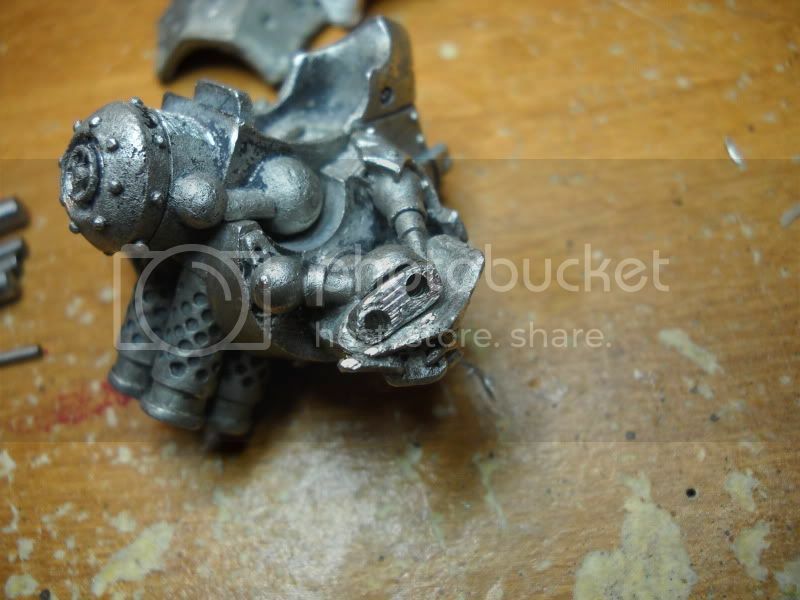 These short bits became the outer tube of the pistons I was trying to create. I also decided that my original tubes were a bit too long (or drilling deeper was too much work) so I shortened them by a hair. I filled the hole in the arm about halfway with greenstuff, dunked the now glued in place tubes into water and smushed them into the arm. I held it there for a 10-count and then carefully pulled the tubes free. Setting the arm aside, I repeated the process on the other side. 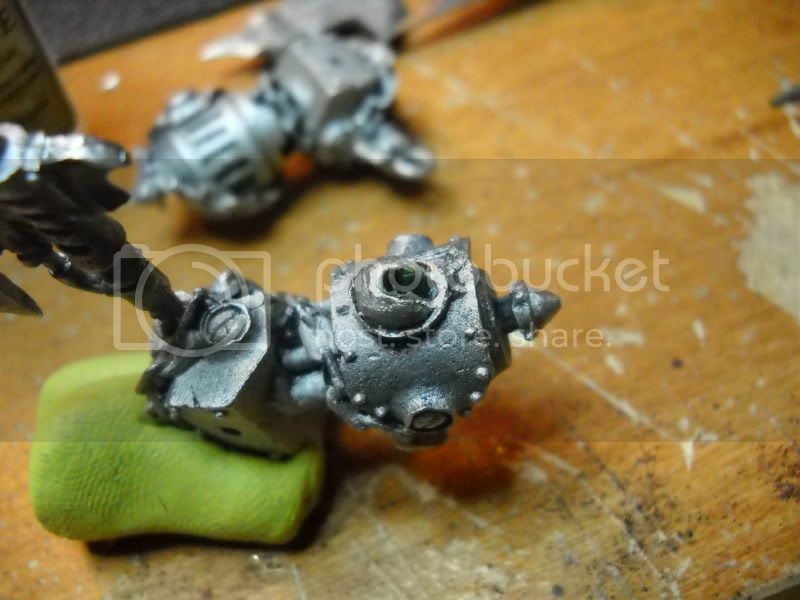 Once the greenstuff was dry, I finished the assembly. The arms are now rock solid, and if they do break, it’ll be far simpler to replace a tube or re-glue than to try and pin those itty-bitty arms he used to have. 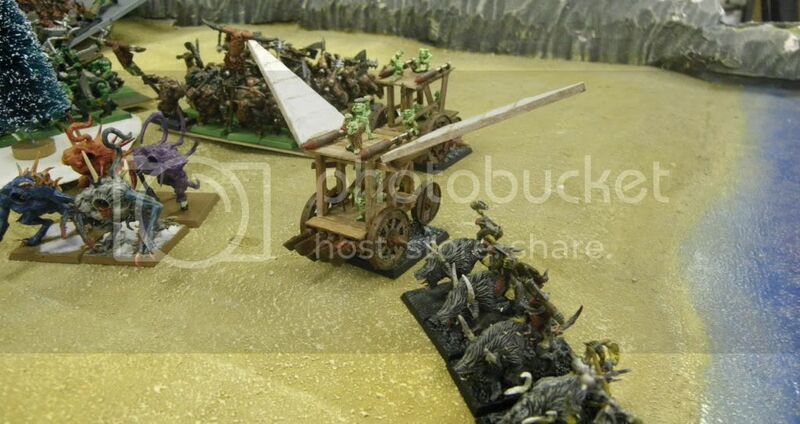 The Snotling Pump Wagons made their way safely to their new owner, and have made their battlefield debut! 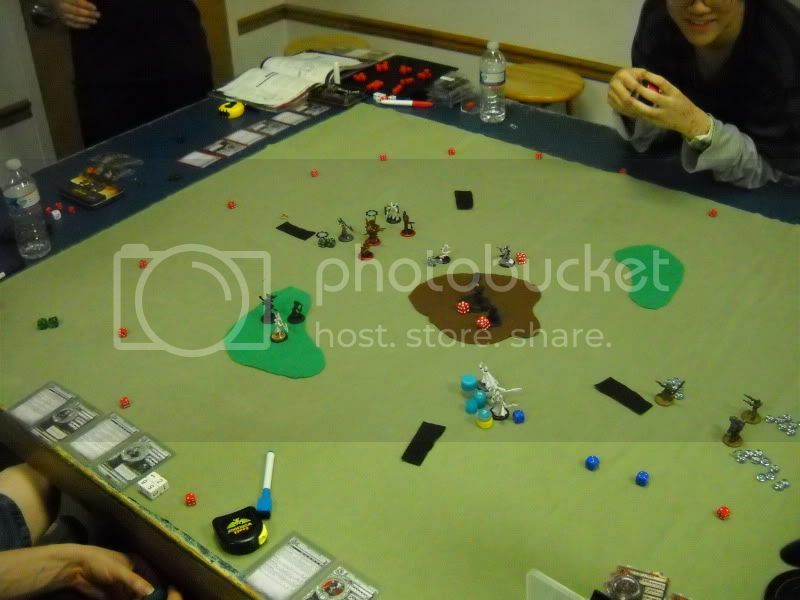 Here are a few in action shots taken by a fellow gamer at the store during the wagons’ first game! 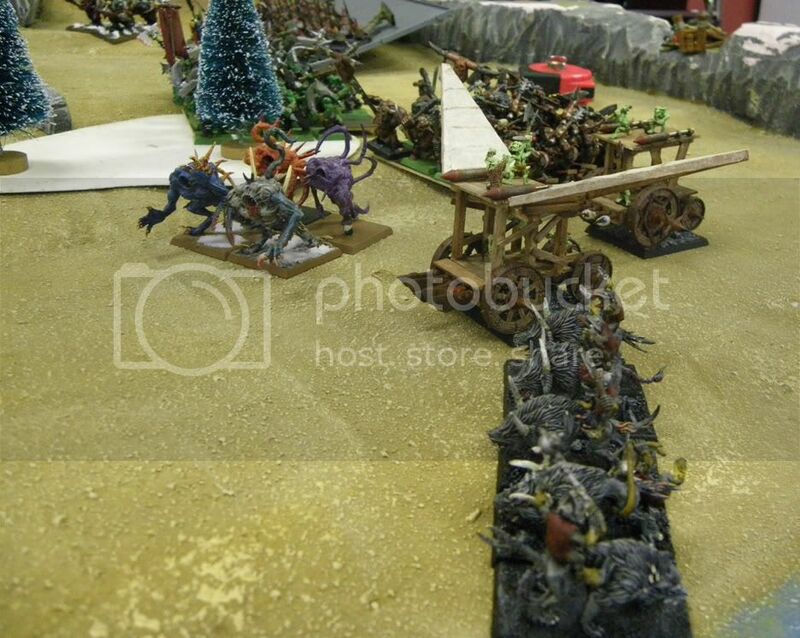 In this first picture, we see the pump wagons deployed and ready to charge in. The whirlybird is near the center of the photo, and there are two other wagons in the far bottom left corner. In the next shot, the winged wagon and one with mushrroms strapped to the front are beginning their attack run. Stay on Target! 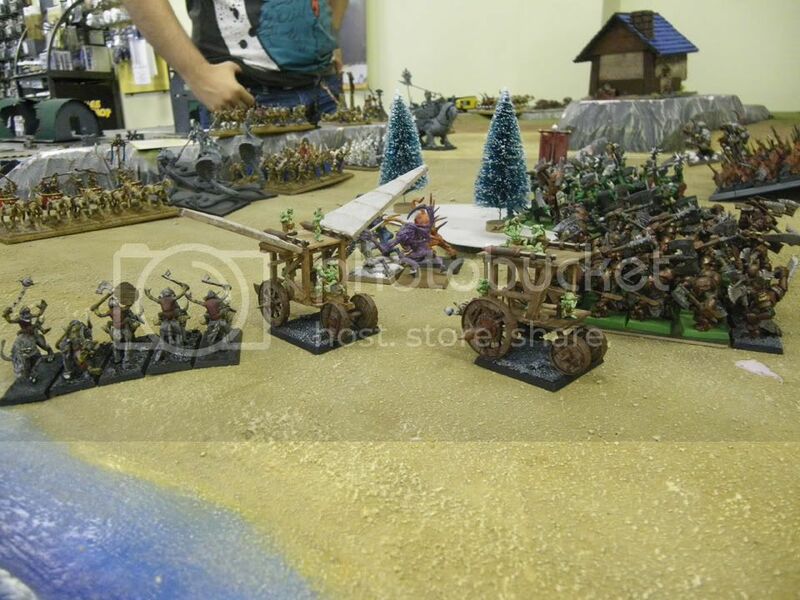 In the last two photos, we get to see the wagons alongside their fellow greenskins – charging into the fray! 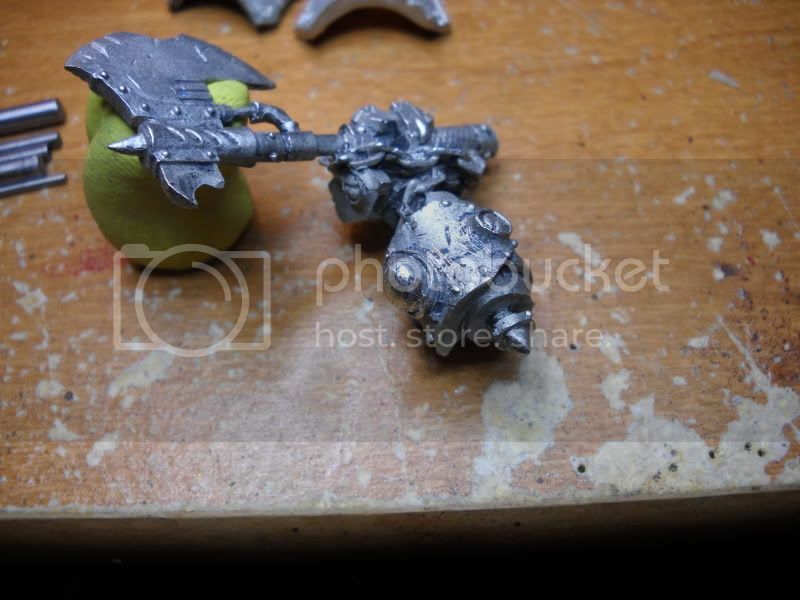 WAAAAAAAAGH! In the days to come, I’ll be discussing some side projects rather than what I’m currently working on, mainly because I’ll be doing little to nothing… I have a new wet palette on order, so I’m holding off on painting until that arrives. I also broke my last pinning drill tonight, so assembly is not really an option either. Unfortunately, I’m at an impass. Plus, a break will be good in preparation for the massive paint fest I’ll need to get going because I have a lot to paint. As I mentioned in my last post, I wanted a change of pace from the red and bronze of my Skorne. 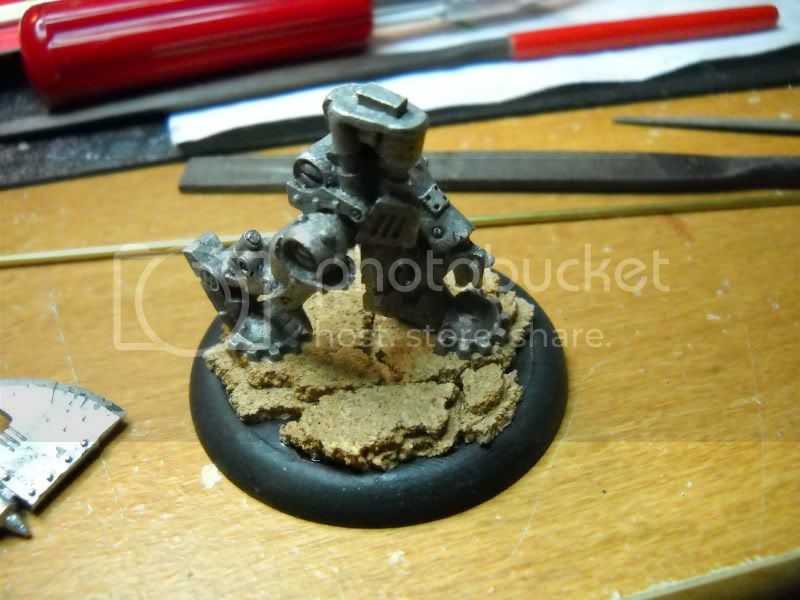 So, I picked my half finished Journeyman Warcaster off my side table and spent a bit of time on him last night. I painted his base (Scorched Brown -> Graveyard Earth -> Bleached Bone) and did all his under armor (khaki pants, leather pistol holster, gloves, shirt, etc). I then tried to figure out where to put my white. 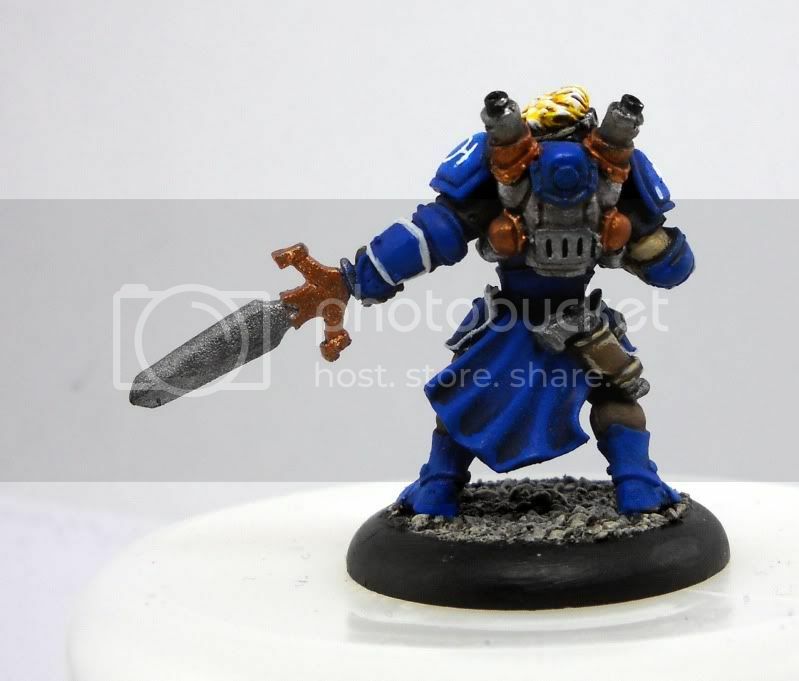 I’m using white as my primary accent color for my Cygnar, and I want it played pretty heavy on my characters. Luckily, most of Jr.’s armor has rims, so those were picked out in white. 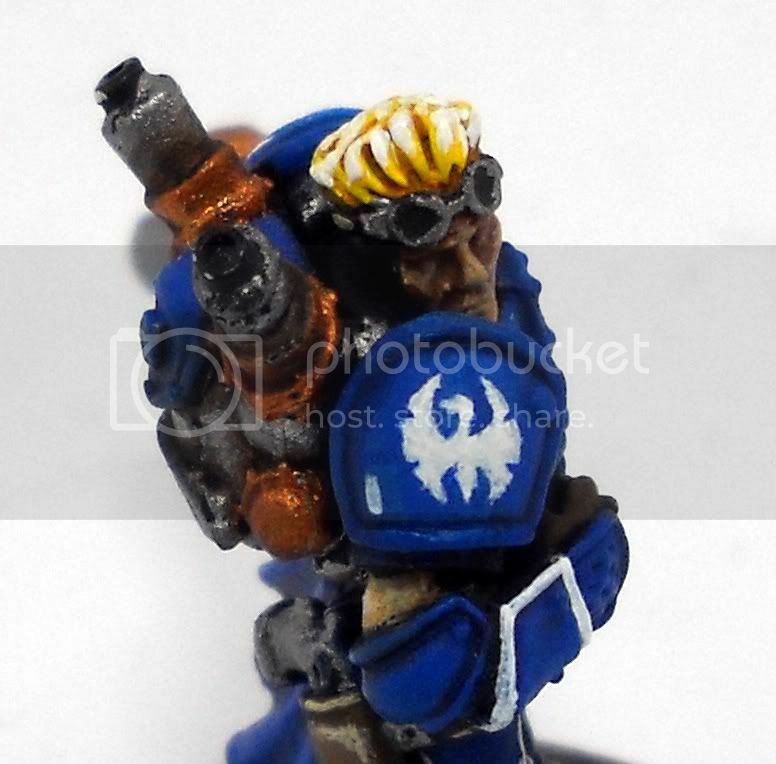 I thought about doing the rims on his shoulderpads, but I wasn’t sure if it’s look too Space Marine or not. 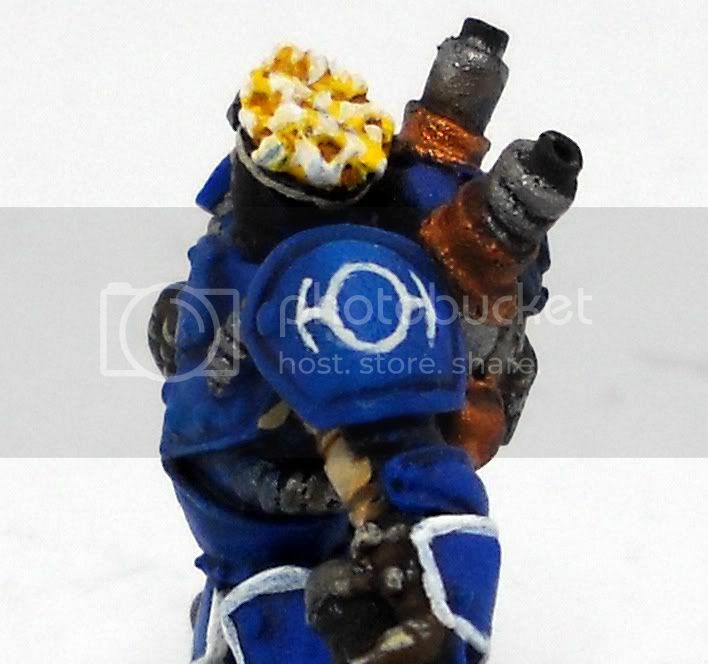 Instead, I went all out and did some freehand painting on his shoulderpads. For what is essentially my first attempt at freehand, I’m very pleased with the results. 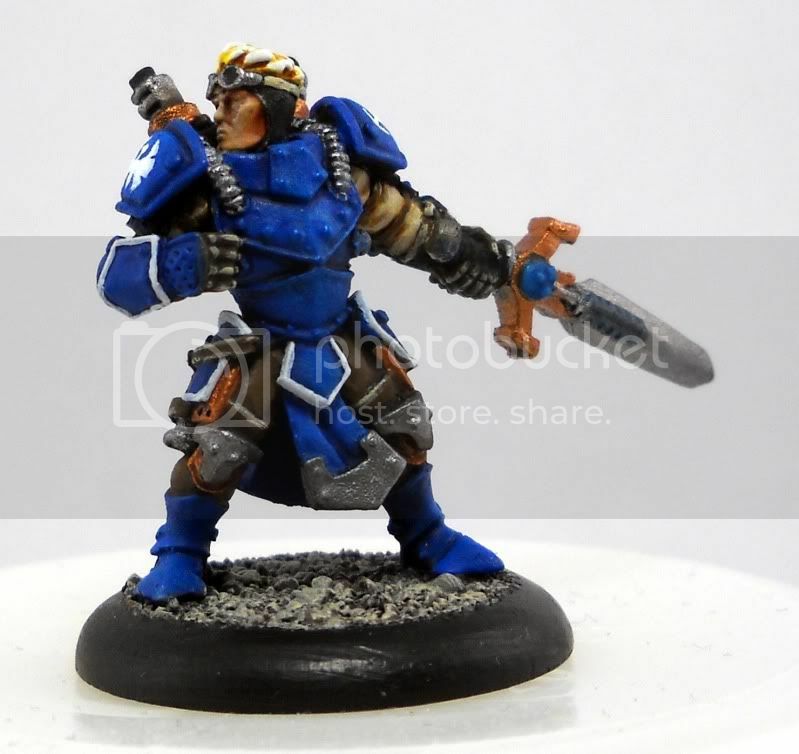 The TIE Fighter looking symbol is seen on the Journeyman Warcaster’s art, and I believe is a symbol indicating that he is in the warcaster academy. If you are a fluff person and can give me more details on the symbol and it’s meaning, I’d love to hear about it so I’m knowledgeable when asked.. 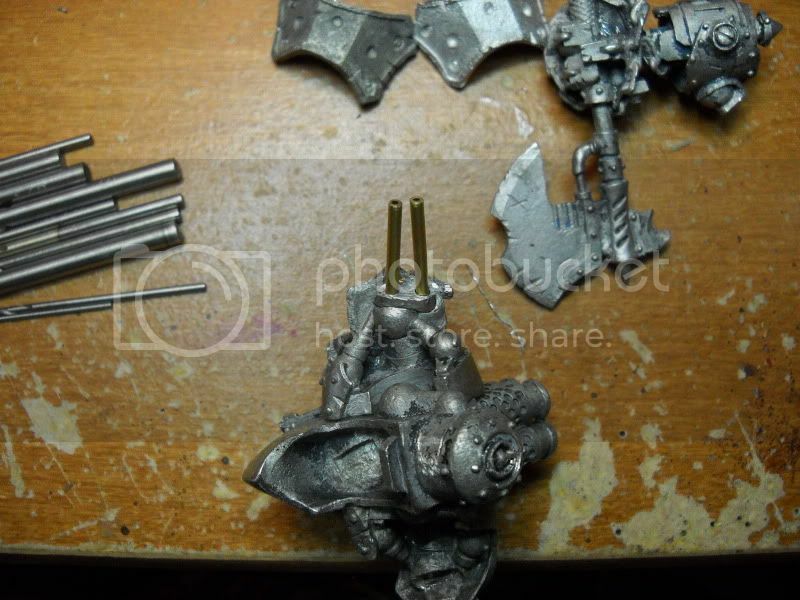 The Swan is obvious, and the little hash mark was primarily to help fill out the extra space on his armor, but it could be a sub-ranking. He’s only allowed one ‘jack? He has one kill under his belt? Not sure. – Lighten the face a bit – it looks too dark to me. I’ve been working on this guy for a few days now. 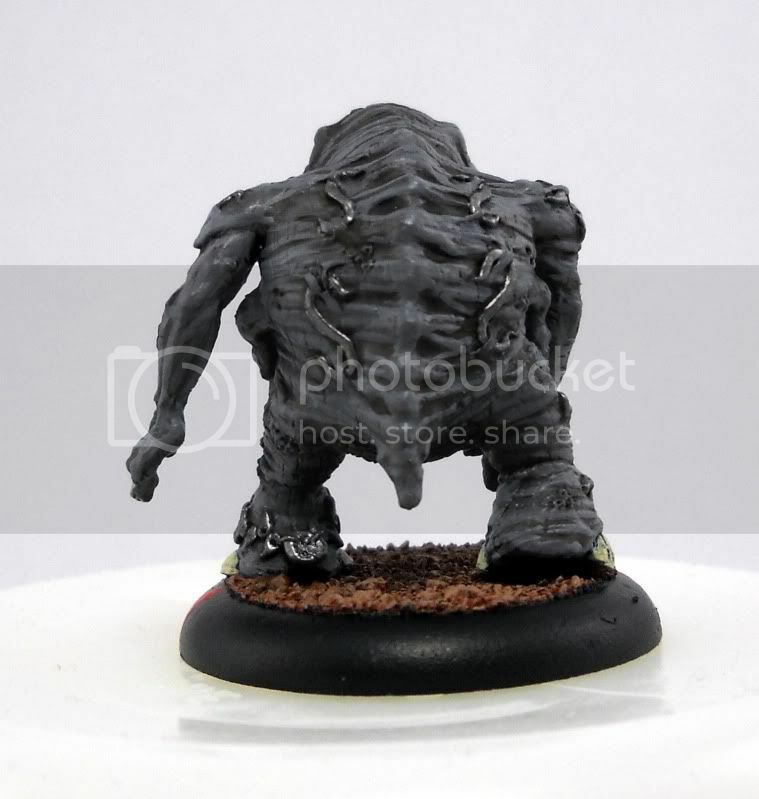 Since the skin was the same as on the titans, this model really had no surpises. Except for those expression-filled eyes. Talk about puppy-eyes, eh? 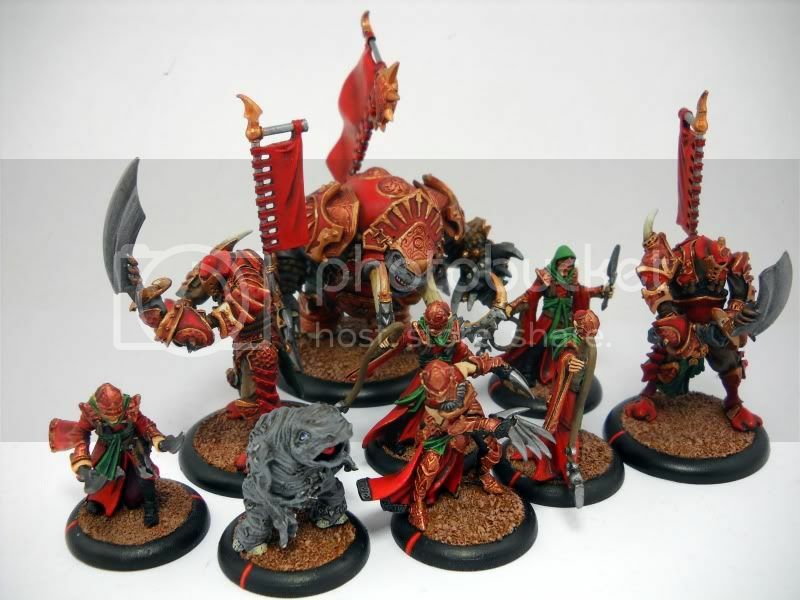 And, with the addition of the Agonizer, I have a nice, fully painted 15pt Battlebox Skorne force! At this point, I’m feeling the need for a change in palette, so I may paint something completely different just to take a break.